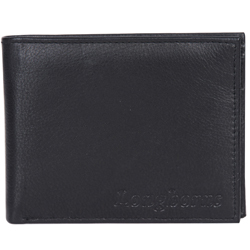 Amaze your loved ones by gifting them this Exquisite Pure Leather Gents wallet from Longhorn and make them crave for more. 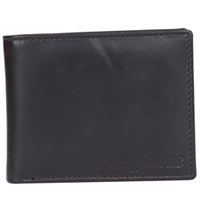 This Leather Gents Wallet has different Card Slots, Currency Compartment, Coin Pocket and Transparent ID Pocket for keeping money and other necessary items. It comes in Dark Brown colour with detailed stitching design.